It can be very hard for anyone to comprehend the full and real consequences of a cyber attack or major IT failure – until it happens. If your job is not primarily IT, it could be easy to think that the buck doesn’t stop with you if it all goes wrong. The former boss of one of Britain’s big banks is thoroughly disabused of that notion now though. 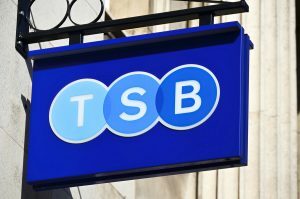 Paul Pester was forced to step down from his role as chief executive of TSB after the almighty technical meltdown which floored most of his customers earlier this year. It’s no small thing for people not to be able to access their hard-earned money and to pay their bills or receive incoming amounts to their business. This cautionary tale can be played out at any scale. Any organisation in which IT glitches get in the way of delivering the core product or service might as well physically close its doors – the effect is the same. Every business relies on technology now, so it’s everyone’s concern – and when that’s the case, the buck stops at the top. Managers who might have buried their heads a bit in the sand until now need to take heed. If they don’t feel they can converse confidently with their technical staff they should consider getting themselves some education on the issues. Another approach is one we provide to firms, which is to be a virtual IT director. Someone who can sit at the top levels and provide expert, unbiased support at a strategic level. This gives the executive a sounding board for any gaps in their knowledge and someone who will keep them alive to issues before they become a problem. The simple message though is don’t wait until you have a problem – because by then it could be a fatal one for your career!